Over the last 20 years, camera traps - remote, automatic cameras - have revolutionised wildlife ecology and conservation. Although advances in digital technology have increased capacity while lowering prices, the increasing number of camera-trap surveys is resulting in overwhelming amounts of data. Data processing is often slow, with multiple, laborious data manipulations resulting in incomplete analysis and delayed reporting. The lack of centralised data storage systems and efficient image processing and data analysis tools is hampering monitoring efforts and conservation outcomes. Hence, the challenge has moved from data acquisition to data management, analysis and interpretation. 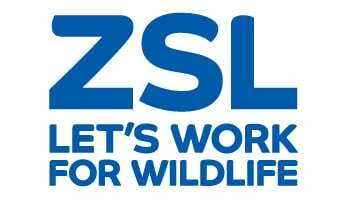 ZSL is developing a proprietary state of the art camera-trap package for managing and processing large volumes of image data efficiently and reliably, translating this information into standardised outputs for monitoring the status of wildlife species and communities and the threats impacting them. The system can help form the basis for effective long-term wildlife monitoring of conservation areas. It will allow conservation organisations to evaluate quickly and reliably the impact of law enforcement and other management interventions. It also has the potential to provide much needed data to feed into national biodiversity strategy and action plans (NBSAPs) and to contribute to regional and global CBD indicators such as the Living Planet Index and Red List Index. - Distribution maps on camera-trap grids in Google Earth, QGIS and ArcGIS (via ArcReader). Standardised reports generation in Word and RTF. The package is already being used at ZSL to centrally manage and process survey data and generate standardised reports for conservation management. ZSL has been helping with systematic camera-trap surveys across a range of sites and habitats including desert systems (Saudi Arabia, Mongolia, Niger, Chad), grassland systems (India, Nepal, South Africa) and forest systems (Kenyan coastal forests, Cameroon, Liberia, Guinea, Thailand, Indonesia, Russia). We are also integrating camera-trap monitoring with SMART patrolling to provide measures of management impact on conservation goals. We have developed extensive training material, standardised protocols and field training course in camera-trap survey design, field set-up, data management and analysis. For further information on the camera trap package please contact Dr Rajan Amin. Citation: 1) R. Amin, K. Davey & T. Wacher (2017). Camera trap data management & analysis package - user guide. ZSL; 2) R. Amin, K. Davey & T. Wacher (2017). A new ground breaking tool for the management and analysis of camera trap data from multiple surveys. Journal of Threatened Taxa (Submitted). This report summarises the findings of seven camera trap surveys set up in the forests of the northern coast of Kenya, in two different key areas; the Arabuko-Sokoke Forest, and in and around the more northern Boni-Dodori forest system. These sites are all representative of the coastal forests of the Eastern Africa biodiversity hotspot. The main study objective was to establish baseline data on the medium-to-large sized mammal communities of the northern group of forests as part of developing a longer term conservation and management plan for the area. Four surveys were carried out in 2010, and three surveys carried out in 2015. The combined species results are presented here. The more northern coastal forests (Boni-Dodori region) recorded higher terrestrial mammal species richness than Arabuko-Sokoke Forest. The majority of medium-to-large mammal species were recorded much more frequently in the Boni-Dodori forest system. The Boni-Dodori forest system also emerges as the global centre for the Critically Endangered Aders’ duiker (Cephalophus adersi). Other species such as the lesser kudu (Tragelaphus imberbis) were recorded only in the dry coastal scrub habitats of northern coastal forests highlighting the additional importance of preserving the wider inter-connected mosaic of habitats representing complete communities of herbivores and predators in the coastal habitats. The combined results overall indicate the high diversity of mammal species in this region of Kenya, and further highlight this coastal region as a ‘biodiversity hotspot’.